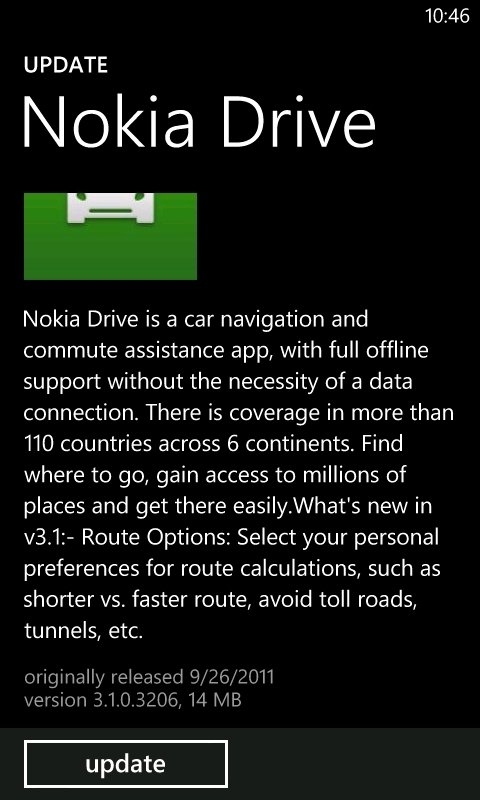 Good news for all you WP7 users, Nokia has just pushed a new update (3.1), which brings the awesome and widely requested feature: an ability to choose your route. 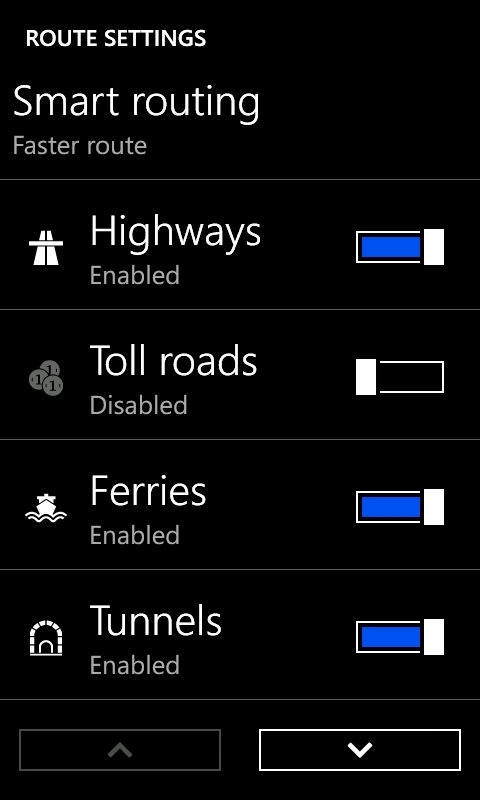 As stated in the changelog, Nokia Drive 3.1.0.3206 has “Route Options”, allowing you to select your personal preferences for route calculations, such as shorter vs. faster route, avoid toll roads, tunnels, etc. 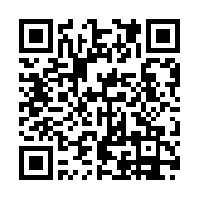 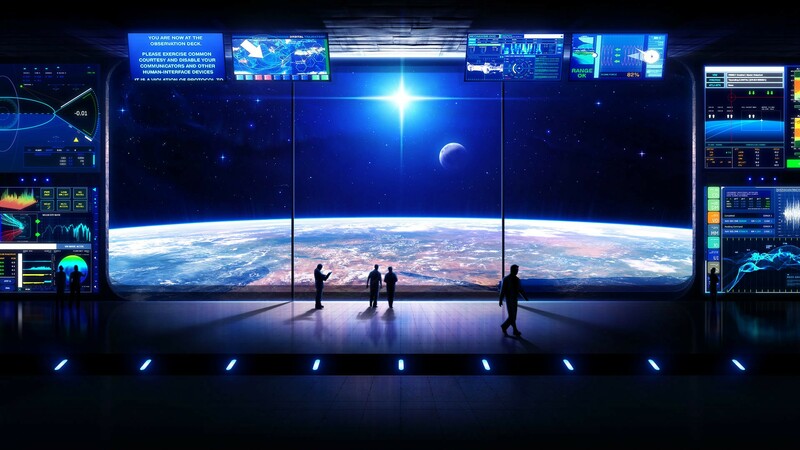 No, Nokia is not abandoning the WP7 platform so go ahead and grab it now.